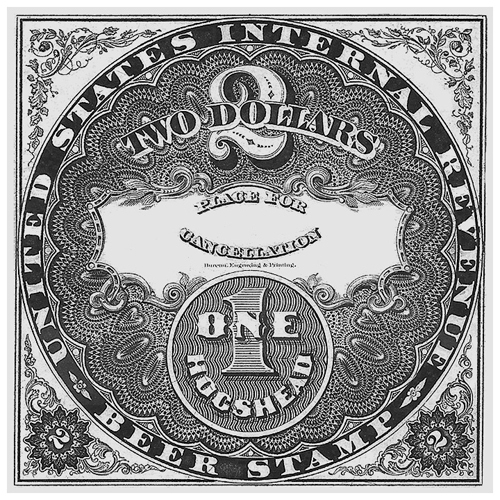 These amazing beer revenue stamps were used by breweries in the US to collect taxes and fees. 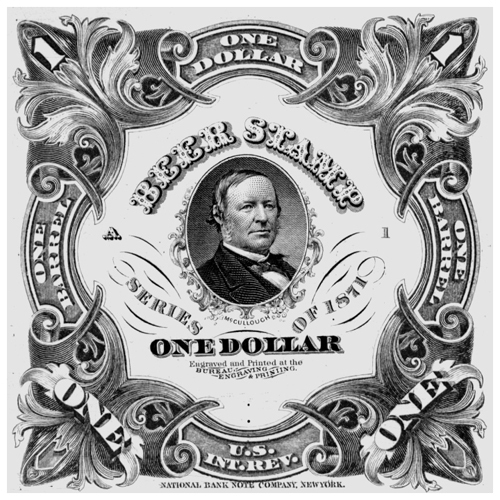 Breweries purchased the stamps from the government and attached them to taxed items. 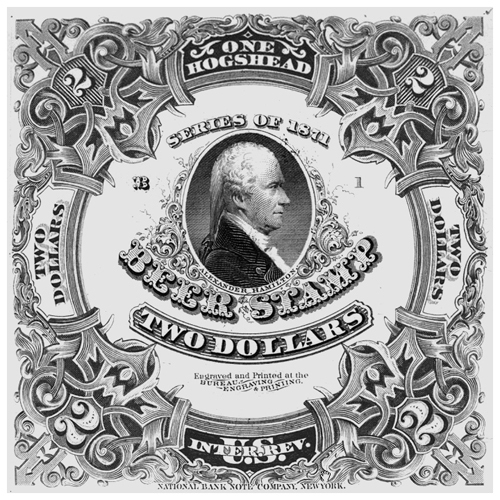 The stamps were issued to brewers without gum or perforations. The brewers cut the stamps apart, cancelled them, and pasted them over the bung of the beer barrel. Tapping the barrel destroyed the stamp. Some examples were cut to circular rather than square shape. 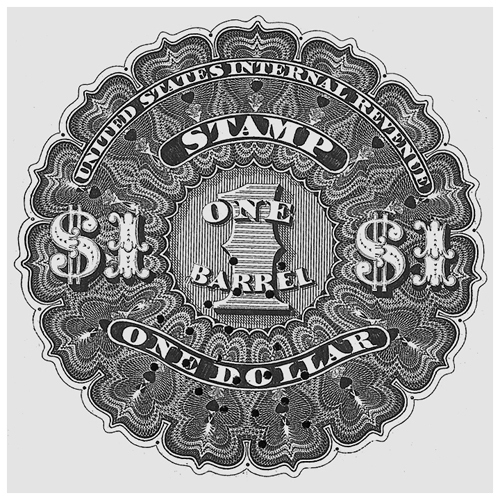 To facilitate the stamp’s destruction when the keg was tapped, the stamps had a pattern of thirty-one small holes punched in them before issue. The detail of each stamp is the work of a true craftsman and even more impressive when you discover that each stamp is completely unique and apart from from a few small details none of the design elements were repeated. Impressive stuff indeed.